Ghosn may restore Nissan voting rights at Renault. PARIS (Reuters) -- The French government's move to tighten its hold on Renault, crowned by a rare public defeat for CEO Carlos Ghosn, has exposed competing visions for the carmaker and its alliance with Nissan. At Renault's annual shareholder meeting Thursday a proposal to allow Renault to sidestep a French law that provides double-voting rights for long-term shareholders such as the French government failed to win the two-thirds support it needed to pass. Investors holding 39 percent of Renault shares, including the government, voted against the proposal. Ghosn must now decide whether to fight or negotiate for closer Renault-Nissan integration, those close to him say, in the face of France's determination to keep Renault in control of the alliance - and its own hand on the wheel. "I don't think he's going down without throwing a punch," one alliance executive who knows the CEO well said. Ghosn has long favored giving Nissan more clout to match its superior sales and profit, according to Renault-Nissan veterans who say he has tried before and may do so again. Seeking to increase its influence at Renault and other French companies in which it holds stakes, Socialist President Francois Hollande's government has introduced a law that doubles the voting rights on shares held for more than two years. Companies can opt out of the rule, but a resolution to this effect proposed by Ghosn failed at a shareholders' meeting on Thursday, falling short of the required two-thirds majority with 60.5 percent support. The result was no surprise. Economy Minister Emmanuel Macron announced three weeks ago a 1.2 billion euro ($1.34 billion) share purchase to raise France's Renault stake to 19.7 percent from 15 percent, in order to block the opt-out. While the government has promised to pare the stake back to 15 percent, the "Florange law" still raises its voting weight to 28 percent, all but guaranteeing a veto on strategic decisions. Renault and Nissan both warned that the move would endanger their 16-year-old alliance just as global carmakers are increasingly competing on scale. At Renault's April 16 board meeting, Nissan also said any lasting increase in French government influence would prompt countermeasures, two sources have told Reuters. Macron, a 37-year-old former investment banker, has played down the power grab, repeating his "full confidence" in Ghosn. "We're no interventionists," he said on Tuesday, citing his approval earlier this month for the sale of Alcatel-Lucent to Finland's Nokia. 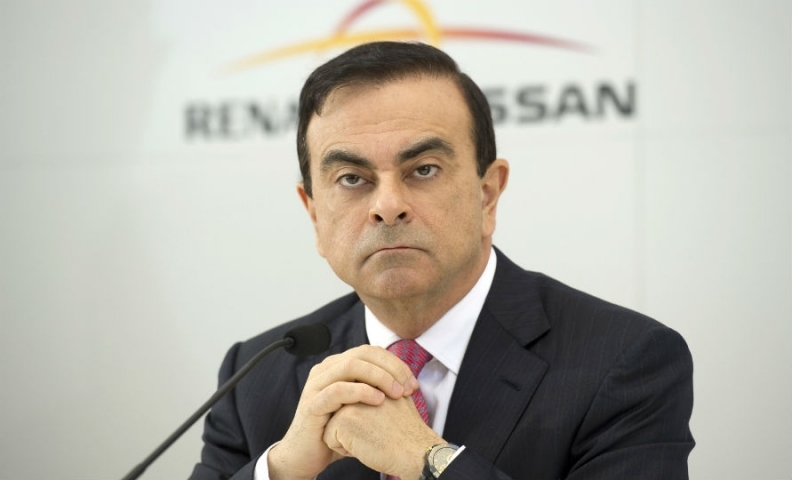 According to company insiders and French officials, however, the government acted partly because it feared Renault's "Nissanization" under a new convergence push by Ghosn. On paper, Renault controls Nissan through a 43.4 percent stake, mostly acquired in 1999 when it rescued the Japanese firm from bankruptcy. Nissan has no voting rights on its 15 percent cross-holding in Renault. But Ghosn, 61, who heads both companies, has always given them decision-making autonomy, even at the price of missed cooperation opportunities such as their separately developed and loss-making electric cars. Nissan has meanwhile outgrown its parent to account for two-thirds of combined vehicle sales and a bigger share of profit. Ghosn is now forcing the pace of integration by fusing production, purchasing and research and development under new alliance chiefs, all three of them Nissan managers. A Renault executive took a fourth post in human resources. "The Renault guys are worried that Nissan's engineering is taking over and we're about to be eaten alive," said Bruno Mathiez, an official with Renault's CFE-CGC union. The same anxieties have percolated through the finance ministry. Some observers now expect Ghosn to counter the government by restoring Nissan's voting rights in Renault. "Many investors are focused on the risk of increased government involvement," said Barclays analyst Kristina Church. "We believe this may provide a trigger for Renault and Nissan management to review the current structure of their cross-shareholdings." If Renault's holding is cut below 40 percent - through its sale of existing Nissan shares or the issue of new ones in a capital increase - the Japanese carmaker's voting rights could be restored under French rules. "It's hard to see why the government would want an entrenched conflict, or what there is to prevent Nissan from carrying out a capital increase," said another executive close to Ghosn, who expects a "well prepared" riposte. Ghosn has tried before to reduce Renault's Nissan stake, according to two sources with direct knowledge of the matter, notably during the global financial crisis in late 2008. "Renault was short of cash and planned to sell some of its Nissan shares," one of the people said. "Everybody agreed and it was all going ahead until someone in the Treasury remembered the 40 percent rule, just a few days before the sale." The placement was stopped under "friendly pressure", and within weeks the government had announced 3 billion euro emergency loans to Renault as well as Peugeot. The source believes Ghosn will negotiate before acting unilaterally. "A company like Renault needs to have normal relations with the state," he said. The room for compromise looks limited, after Macron said he saw no reason to let Nissan reactivate its voting rights and vowed to hold firm "to the end". But the clearest explanation of the government's stance came from Louis Schweitzer, Ghosn's former boss. "I built the Renault-Nissan alliance according to a logic in which Renault controlled Nissan," said the top civil servant, who oversaw Renault's 1996 privatisation. The government must "ensure Renault keeps its roots and center in France and that the alliance maintains its original balance, with Renault in the driving seat," he said in a radio interview this week.